Love me some spring running! I’m loving running this week. The weather is PERFECT for running. Not too cold. Not too hot. The snow has all melted, so the paved park trails are open again for running. I love it! I love that I don’t need to get up ultra-early on the weekends to get my long run in before the sun (and heat) come up. I love that I can wear shorts and be comfortable – not sweaty and not chilly. I’m mixed about how my long run went today. If you look at just the numbers, it was decent. 16 miles in 2:25:19 (9:05) pace. I was supposed to “pick up the pace” for the last three miles, and I did (8:39, 8:39, 8:39) (Weird! I didn’t realize til I went to blog this that they were all the exact same. To be exact they were 8:38.18, 8:38.61, 8:38.88). My run was at Carver Park Reserve, which has rolling hills. I could definitely feel them. 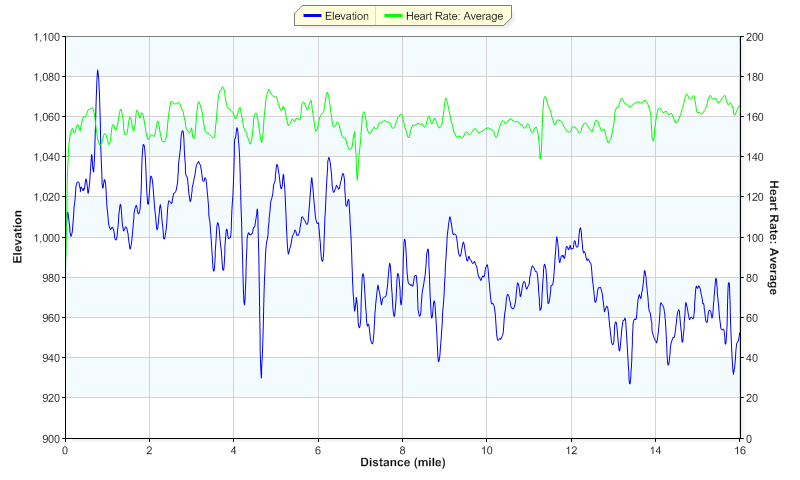 Fun to look at that graph of elevation and heartrate and see that my heart could feel the rolling hills too! The part that didn’t go as well as I wanted on my long run today was my legs. My right leg felt tight in the hammy and just felt weird. I had to stop a few times and stretch it and re-tie my shoes. I’m hoping that it was because I was dehydrated (I’ve noticed when I don’t bring enough water on runs, my legs start to tighten up and feel funky; I only had one handheld of water and ran out at about mile 9 of 16). 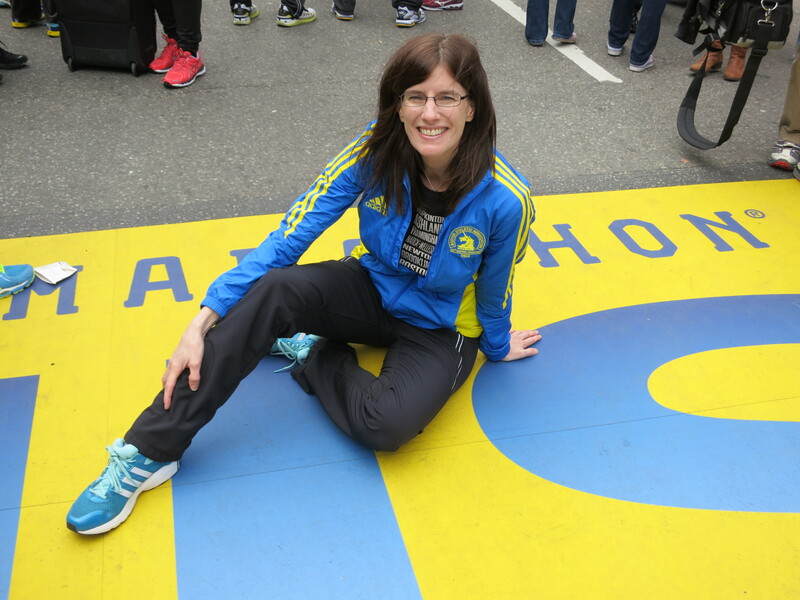 It also could be because the legs were not super fresh because I did a tempo yesterday (the plan called for an easier run today and long run tomorrow, but because of weather issues, I had to do the long run today). Anyway, it wasn’t terrible, but it wasn’t a Kristy-like fabulous long run. Meghan had her first track meet of the year this week. She had to run the mile and was SO nervous because they were having her run what she thought was JV, but it was actually JV and Varsity together. She ran it in 7 minutes even, which I thought was FABULOUS for her (she’s in 7th grade). She wasn’t thrilled because she came in last place, but when I reminded her that they only asked 3 of the middle school kids to be on the JV team and she was one of them, she did feel a little better. Plus it was on a little indoor track, where they had to do a total of 8 laps for a mile. That would be super hard to pace correctly! She is loving running though, which I am super happy to see! Thanks for the love! And congrats to Meghan – 7:00 is a great time for a 7th grader! I would say she ran a fabulous mile!